Broiling a sirloin steak is a fantastic alternative to grilling or pan-frying. While broiling doesn’t give the same taste as cooking over an open grill, broiling can be used whenever the weather doesn’t permit outside grilling. 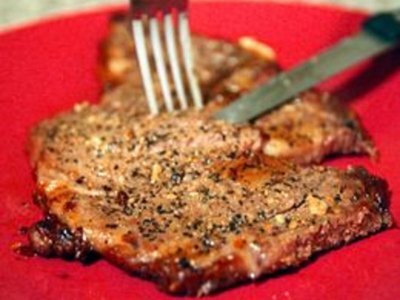 Broiling is also less likely to dry out the meat like pan-frying can, plus it is easier to do cook the steaks perfectly. 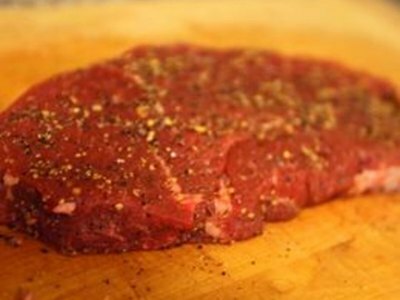 Season the steaks with the seasonings of your choice, or use your favorite marinade recipe. 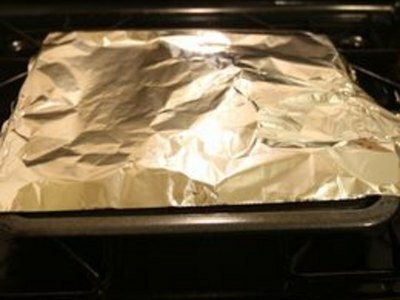 Prepare the broiler pan by spraying it with a non-stick spray, or covering the top of the pan with tin foil. If using tin foil, cut slots into the foil so the fat from the steaks will drip to the bottom pan. Adjust the top oven rack to the top position in your oven. Lay the steaks out in a single layer on the broiler pan. Turn the oven dial to the broil position. There is no need to preheat the broiler. Slide the pan of steaks under the broiler element on the top rack in the oven. Allow the steaks to cook for 3 to 4 minutes on each side, if you want the steaks to be rare to medium rare. Add 2 to 3 minutes per side for more well-done meat. Remove the steaks from the oven. Tent the pan with tin foil and let the meat rest for at least five minutes before serving. If you like your steaks very well done, you may need to move the oven rack to the second highest position so that the steaks do not burn while cooking. 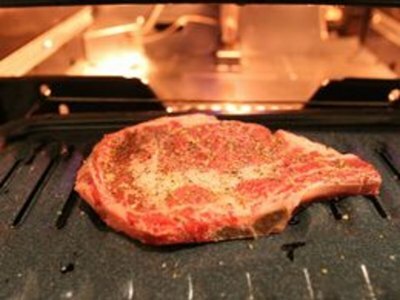 Check on the steaks often when broiling by either cracking the oven door to look or turning on the oven light. Steaks can be basted with steak sauce while broiling. Allow each side to sear under the heat before brushing them with the sauce. Never leave steak under the broiler unattended. 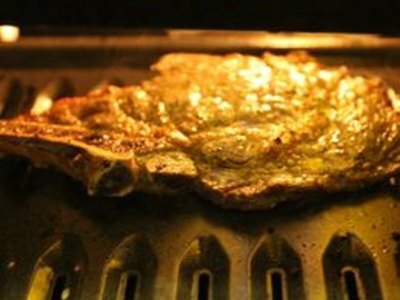 The fat from the steaks can catch fire due to the high heat of the broiler.